2017 is almost behind us and I know that for my clients it will range from being considered a very good thing to being a time to reflect on a great year. Irrespective of what you might think of New Year's Resolutions it is a great time of year to take stock of what the previous 364 (or 365 if we're in a leap year...) days have been like. It is also an opportunity to focus on the things that you might not have accomplished and make plans to focus on them so that in one year's time you aren't sitting in the same spot with the same regrets. For myself, 2017 will represent an interesting year. I'm not sure how I will view it in the years to come, but I sit here now wondering how I got through it. There were a huge number of changes in my life that I had not envisaged this time last year. For starters, we are expanding, with premises now in Marrickville and with more to come in Alexandria, Surry Hills and Erskineville. Other business opportunities surfaced that I did not see coming, all of which have taken up large amounts of my time. This is partly why the blog posts have become so sporadic over the last 6 months. This post isn't meant to be thought provoking in the same way that previous posts are meant to be. The main point being that, for those of you that hope for change in your life but don't ever seem able to make it, keep yourself open to the opportunities around you. Most of the changes that have happened to myself this year were not changes that I actively sought, necessarily. I was looking for opportunities and because of the fact that I was looking I was able to act upon these things that I might have missed if the circumstances were different. Ultimately, change isn't going to happen by accident. Sometimes things will land at your feet when you least expected it. Sometimes your life will change for the better with minimal effort. But that is probably not going to happen. If you want real change to occur in your life you are going to have to reach out and make it happen. If there is one thing that I learned in 2017 it is probably that. I hope that you are I are sitting here in 365 days time reflecting on what a magnificent year 2018 was. I'll certainly be doing everything I can to make that happen, and I'll be doing everything I can to ensure that it happens for my clients as well. If there is one thing that I do know it is that in 12 months I'll still he a Health Coach and still be working with people. It's the best job in the world and, amongst all the change in our lives, the one thing that will never change in mine. 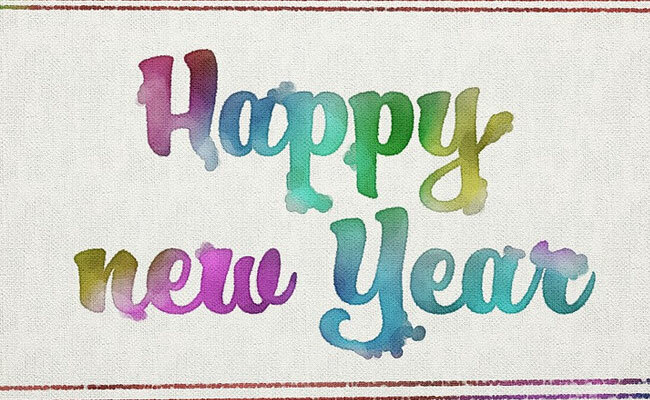 Here's to a happy, healthy and prosperous 2018!